Soprano Kristi Spicer, originally from Northampton Massachusetts, holds a Master’s Degree in Vocal Performance and Pedagogy from the Peabody Institute at Johns Hopkins University, where she studied under Ah Young Hong. This past summer, she performed the role of Gretel in Engelbert Humperdinck’s Hansel and Gretel at the Milnes Voice Studio in Savannah, Georgia. In the summer of 2017, Kristi performed the roles of Despina in Cosí fan tutte and Musetta in La Bohème as part of the Mediterranean Opera Studio and Festival. 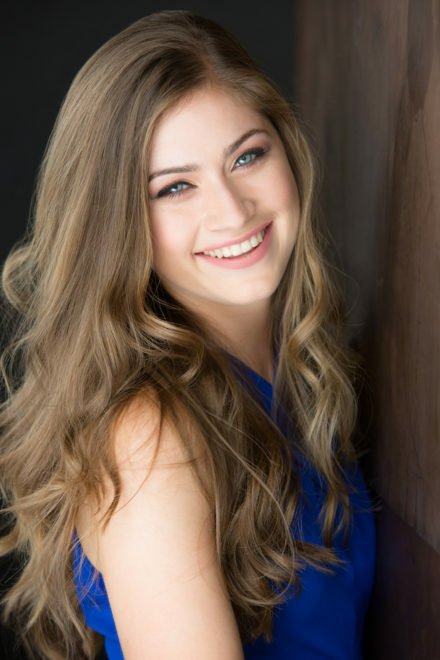 She has participated in other summer programs such as the Alba music festival, Opera Work’s emerging artist program, and the Florence Voice Seminar. At Peabody, Kristi performed the role of Papagena in Peabody’s outreach opera of The Magic Flute. In Peabody’s opera scenes programs, she performed, as Jenny Slade from Roman Fever, Louise (the principal role) from Louise by Charpentier, and Anne from Sondheim’s A Little Night Music. of Baroque opera scenes such as L’Eternità in La Calisto. Kristi’s teaching experience includes general music classes at an elementary school in Ithaca, NY. She was awarded a teaching assistantship at the Frank Sinatra School of the Arts high school in Queens, NY. Kristi also taught private voice lessons during her two years at Peabody Conservatory as part of her vocal pedagogy internship.